Born and made in San Francisco by Jeff. 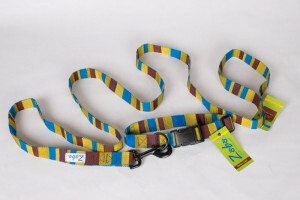 Zobo collars have hip, modern patterns in a variety of bold colors. 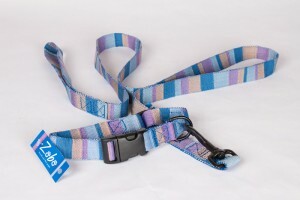 Custom woven in soft yet durable nylon, these patterns will withstand sun, sea and all kinds of everydog wear and tear. Leashes are made of the same great nylon webbing as our collars, with metal parts anodized black, for scratchproof pupresistance. They are 5 feet long, which is the cool new length, and available in 0.75 inch or 1 inch widths to go with various sized collars.